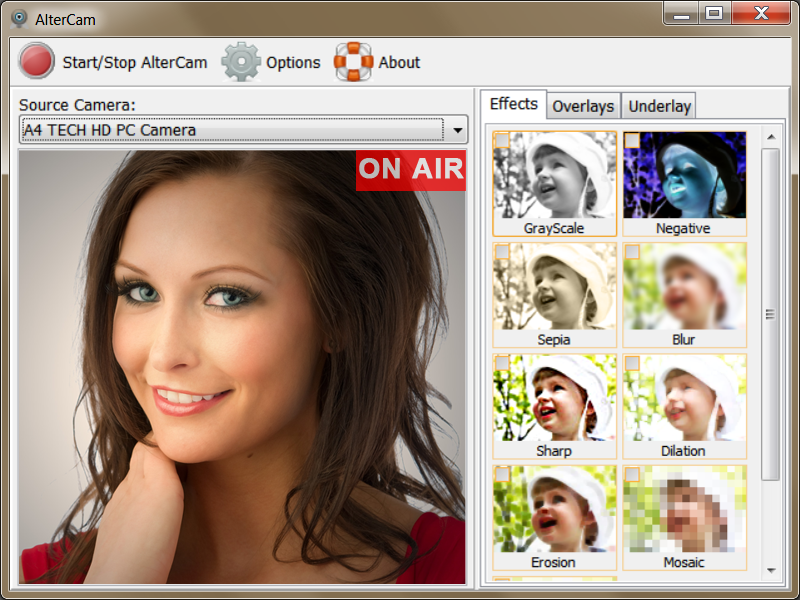 AlterCam is a virtual web camera. The program takes the video from your real webcam, modifies it in the way you want and streams it to the virtual web cam. You can change your real camera to the virtual one in Skype and other programs and your opponents will see the modified video. There are many effects available. For example, you can hide your face with the mosaic or make the entire video grayscale. You can also add any images over your video stream and add the desired background image too. This program is NOT Freeware. Per the Developer's web site it costs $29.95.